Speech pathology is a therapeutic specialty in which licensed clinicians diagnose and treat communication and swallowing disorders. Speech-language pathologists work with clients across the lifespan who suffer from conditions like traumatic brain injury, deafness, Parkinson’s disease, cleft palate, and dysphagia. SLPs customize treatment plans to address clients’ vocal needs and improve their language processing. Around 135,400 Speech Language Pathologists work across the United States, primarily in schools, hospitals, physician offices, and nursing facilities. Speech pathology is a high-paying career offering an average yearly salary of $76,900. If you’re interested in teaching people to communicate more effectively, the following Top 10 Master’s in Speech Pathology Degree Programs offer the best chance to qualify as a professional! To get started on creating this list, we browsed through the 263 master’s degrees with accreditation by the American Speech-Language-Hearing Association (ASHA). We focused on programs that fulfilled the qualifications for ASHA’s Certificate of Clinical Competence (CCC-SLP). Next, we narrowed down master’s programs based on the U.S. News and World Report’s rankings. We only picked from speech pathology offerings ranked in the field’s Top 20. Affordability was judged based on the NCES’ average yearly graduate tuition prices. We reviewed student outcomes data for every program to determine job placement and Praxis exam pass rates. O ther important factors considered were class size, specializations, clinical experiences, research opportunities, and faculty credentials. Since now is an excellent time for caring, compassionate individuals to consider pursuing training in speech and hearing sciences. The U.S. News and World Report recognized speech-language pathologists for holding America’s #19 Best Healthcare Job. Increases in disability prevalence will spark much faster-than-average job growth by 21 percent through 2024. Therefore, around 28,900 new jobs will be created for master’s degree holders. So find your passion helping people communicate by checking out these Top 10 Master’s in Speech Pathology Degree Programs. Established in 1847, the University of Iowa is the state’s oldest public, space-grant research institution with over 32,100 students enrolled in Iowa City. The University of Iowa is recognized by the U.S. News for the #1 Speech Pathology Program. The M.A. in Speech-Language Pathology offers ASHA-accredited clinical training. Along with school and non-school practicum, students complete an international service project in China or Nicaragua. Thesis research takes place in the Wendell Johnson Hearing Center. In 2015, 100 percent of SLP graduates passed the Praxis exam. Learn more about the University of Iowa’s Master’s in Speech Pathology Degree Programs here. 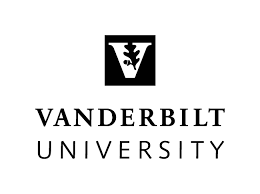 Endowed for $4.1 billion, Vanderbilt University is an elite private, non-sectarian research institution serving more than 12,680 in Nashville, Tennessee. The Vandy Medical Center was named America’s 15th Best Medical School by the U.S. News. Here there’s a M.S. in Speech-Language Pathology program accredited through the ASHA. For 24 months full-time, the 49-credit curriculum follows specialty tracks in Schools, Voice, or Early Identification of Children with Hearing Loss. Clinical practice is available in the Bill Wilkerson Center for Otolaryngology. The program has a job placement rate of 100 percent. Learn more about Vanderbilt University’s Master’s in Speech Pathology Degree Programs here. Under the Morrill Act, Purdue University is a flagship public, land-grant research institution educating over 39,400 students in West Lafayette, Indiana. With America’s fourth largest international population, Purdue is the country’s 21st most innovative school. The M.S. in Speech-Language Pathology program fulfills ASHA clinical requirements. Consisting of 36 credits, the curriculum covers phonetics, language acquisition, audiology, aural rehabilitation, and hearing science. SLP majors can join Purdue’s NSSLHA chapter, study abroad in Zambia, and gain experience in the M.D. Steer Audiology Clinic. Learn more about Purdue University’s Master’s in Speech Pathology Degree Progams here. As a prestigious public AAU member, the University of Washington is located in Seattle’s University District to educate over 45,200 students. According to the U.S. News, UW is the nation’s #1 medical school for primary care. The M.S. in Medical Speech-Language Pathology is delivered using a community-based clinical model. With ASHA accreditation, the two-year program focuses on treating communicative disorders in adult and pediatrics. Students work at the UW Speech & Hearing Clinic. MSLP graduates achieve a median Praxis score of 187. Learn more about the University of Washington’s Master’s in Speech Pathology Degree Programs here. Located in “Steel City,” the University of Pittsburgh is a public, state-assisted RU/VH research institution affiliated with Carnegie Mellon to serve over 28,600. The U.S. News places Pitt 24th among the nation’s top public schools. Within the School of Health & Rehabilitation Sciences, there’s an ASHA-accredited M.A./M.S. in Speech-Language Pathology. Over six trimesters, the 60-credit program prepares graduates for audiological treatment. Four clinical practica are included, including one at Pitt Medical Center. Master’s thesis can be completed in the award-winning Cochlear Implant Processing Lab. Learn more about the University of Pittsburgh’s Master’s in Speech Pathology Degree Programs here. 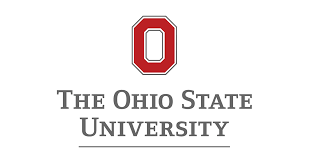 With the nation’s third largest enrollment over 64,800, Ohio State University is a public, land-grant and sea-grant research institution located in Columbus. According to the USNWR, Ohio State is the 52nd best overall university nationwide. Leading to the ASHA Certificate of Clinical Competence (CCC), there’s a M.A. in Speech-Language Pathology offered. This two-year, full-time program has specializations in Aging, Applied Developmental Science in Education, Disability Studies, or Singing Health. The 60-credit curriculum includes four advanced clinical practica, either on-campus in the Speech-Language-Hearing Clinic or off-campus. Learn more about Ohio State University’s Master’s in Speech Pathology Degree Programs here. Nestled in Boston’s famous Fenway-Kenmore neighborhood, Boston University is a private, non-sectarian institution with “very high research activity” and over 33,400 students. BU is recognized for America’s 29th best medical research center. Sargent College of Health & Rehabilitation Sciences offers a two-year M.S. in Speech-Language Pathology. This ASHA-approved program has a first-time Praxis exam pass rate of 100 percent. Small class sizes give students one-on-one interaction with master clinicians. Four semesters of clinical practicum place SLP majors in Boston Medical Center, Massachusetts General Hospital, and more. Learn more about Boston University’s Master’s in Speech Pathology Degree Programs here. Overlooking the Mississippi River, the University of Minnesota-Twin Cities is located in Minneapolis and Saint Paul to serve over 50,600 students as a public, land-grant research hub. The U.S. News named UM-Twin Cities the 25th top public school nationally. With ASHA accreditation, the M.A. in Speech-Language Pathology is available for evidence-based, clinical training. Students can select a Bilingual and Multicultural Emphasis while working with the Spanish Vocational Group. Hands-on practice with speech, stuttering, and audiology services is completed at UM’s Davis Center. Learn mmore about the University of Minnesota – Twin Cities’ Master’s in Speech Pathology Degree Programs here. Opened in 1789, the University of North Carolina-Chapel Hill is a “Public Ivy,” research and liberal arts institution educating over 29,000 Tar Heels near Raleigh. According to the USNWR, UNC Chapel Hill is the 13th top value school nationwide. The top-ranked School of Medicine has offered a 60-credit M.S. in Speech-Language Pathology for 30 years. Clinical or non-clinical tracks are available with at least 400 practicum hours. There’s also a bilingual option in Spanish that includes a service learning trip to Antigua, Guatemala. Learn more about the University of North Carolina – Chapel Hill Master’s in Speech Pathology Degree Programs here. Standing just 12 miles north of Chicago in Evanston, Illinois, Northwestern University is a private, non-sectarian research institution enrolling around 20,900 students. NU was lauded as America’s 12th best national university by the U.S. News. In the School of Communication, there’s a M.S. in Speech, Language, and Learning with ASHA accreditation. Future pathologists spend seven quarters full-time in didactic and clinical training, including at Chicago’s Swallowing Center. Specializations are available in Early Intervention (birth-3), School-Aged Children, or Neurogenic Disorders. Northwestern has a 100 percent Praxis exam pass rate. 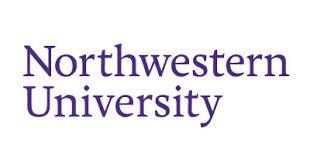 Learn more about Northwestern University’s Master’s in Speech Pathology Degree Programs here. This entry was posted in University Rankings on June 23, 2016 by tjentz.